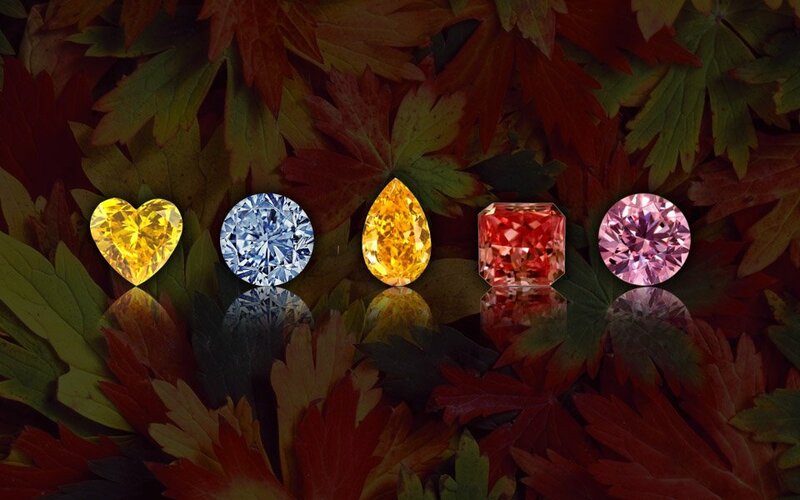 We specialise in certified & non-certified loose and fancy colored diamonds. For us at Dirgh Diamond, maintaining the quality of our manufacturing processes is our main aim. For this, we make use of the latest technologies and machinery to give our customers the best quality cut and polished diamonds of international repute. For the past 10 years, we at Dirgh Diamond have been learning about our customers’ demands and constantly aiming to give them our 100% in terms of quality while ensuring smooth manufacturing processes. 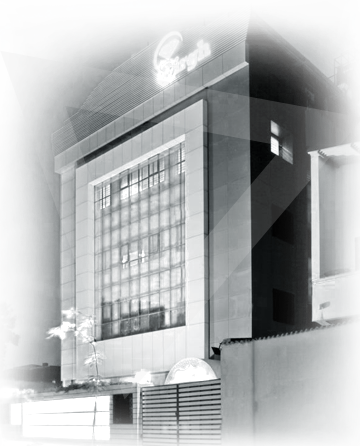 Dirgh diamond is a leading diamond Suppliers in Surat. Dirgh diamond specialized in certified & non-certified loose and fancy colored diamonds, carving out a unique reputation in the marketplace as the largest diamond wholesaler in Surat. Our journey couldn’t be possible with our valuable clients who held their trust in us and helped us to endure as the best diamond company in Surat. As a firm committed to fulfilling the demands of the market, we at Dirgh Diamond reach every extent to fulfill our client's expectations. 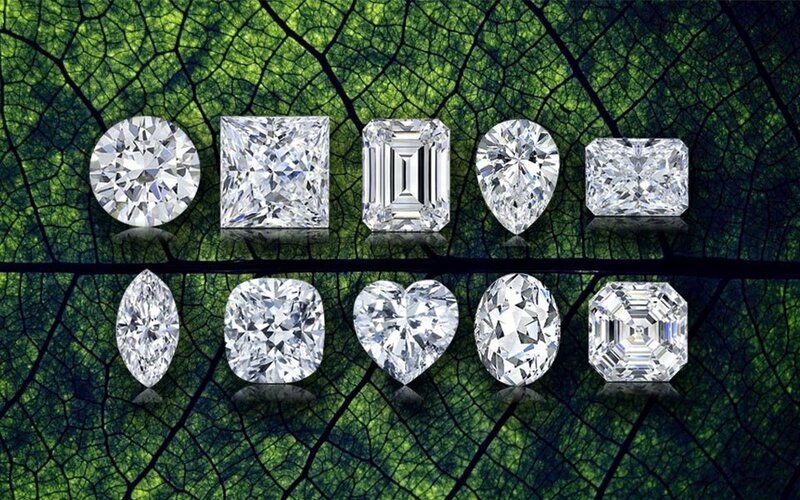 We produce diamonds according to our customers’ requirements. We always get our diamonds certified so that they can be sure of the quality of cut and polish of diamonds. Depending on their requests, we also offer them loose uncertified diamonds. Fancy colored diamonds are the latest trend nowadays. A colored diamond gives a much better look and appeal than a regular diamond. At Dirgh Diamond, one can get fancy colored diamonds at an affordable price and of great quality. Dirgh Diamond is one of Surat's leading diamond supplier & manufacturer, due as much to our honesty as to the unexpected quality of our product. Please access these diamonds through our live inventory. Get Online inventory of Dirgh Diamond at your fingertips. 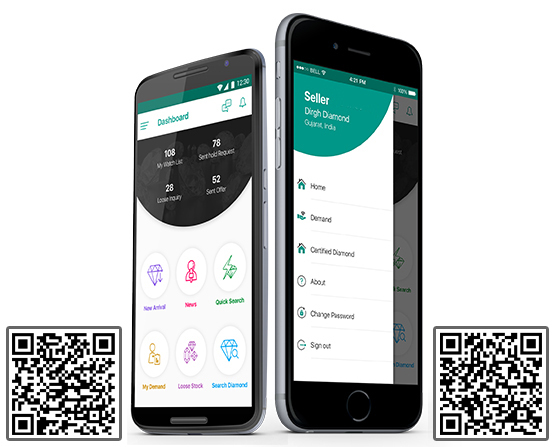 Available for both Android and IPhone device. Always one step ahead with transparency and best price and to gain our clients’ strongest faith on diamond. Great things in business are never done by single person. They're done by a great team of people. Great customer support/service with With courteousness and attention to the customer. -Fast response. - Price reasonable. Integrity Company, the perfect staff. Hope that we work together to open up the Chinese market, to achieve a mutually beneficial development and growth. Good quality of stones and with enthusiastic service, very satisfied, and chirag, my contact in this company is fantastic to do business with. I am happy to do business with your company and you. Your Goods are at right price and the service is very good. Speedy reply and so far the information you gave me meets our requirements. Your Website was so easy to use, and allowed me to search for exactly what I wanted. Nice company to work with, very Co operative. Fast Growing. I Continue to be impressed with how dirgh diamond delivers the best quality products. In your company I like most you and good price.